I remembered the above quote from David Bailey and thought you might like it too. 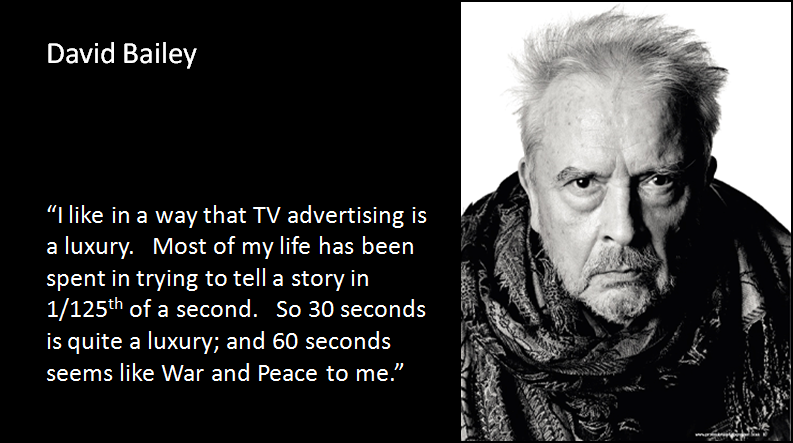 David Bailey also describes himself as an advertising amateur, because he has only worked on around 600 ads – including quite a few TV ads. A nice touch of self-deprecation. The archive catalogue – this allows you search for people interviewed, their interests and specific music tracks selected.